Last week I shared some sky photos of our ferry crossing to Mukilteo, Washington. All the way across from Clinton to Mukilteo a flock of seagulls rode the wave of air rising off the front of the ferry. They were amazing to watch. They would swoop low in front of the bow of the ship and then shoot high up in the air, bank around and do it all over again. Wayne and I decided to use some of our time in the States to go to a USC women's basketball game in Seattle. To get there, the easiest route from Bellingham is directly south on I-5, but this time we had to make a stop on Whidbey Island. We decided to keep on going to the southern tip and take the Clinton-Mulkilteo Ferry across to the mainland. Whidbey is the largest island in Washington and the fifth largest in the contiguous United States. It claims to be the longest island in the States, but that is often disputed by Long Island in New York. The drive along Highways 20 and 525 is both excellent and beautiful. In the north there's picturesque Deception Pass. On the south island, there are gorgeous peak-a-boo views of the ocean. At the southern tip of Whidbey Island is the town of Clinton. That is where you catch the ferry to Mukilteo on the mainland. Ferries run every half hour from 4:30 a.m. to 1:00 a.m. It's a classic design with inside and outside seats on the upper deck. There's not much time to relax, the crossing takes from 15-20 minutes, but head on up for some great views and sky photo opportunities. Last night we had quite a wind storm in Powell River. Up the lake at our float cabin in Hole in the Wall it was gusty from about 4:30 to 9:00 am with speeds up to 27 knots (50 kph or 31 mph). That's not hurricane force winds, but it was enough to flip some burgers the hard way. Today we opted for a warm truck rather than our quads for a ride into the bush. Our destination was the Squirrel Creek Bridge up the Eldred River valley. Well, that's not technically true. 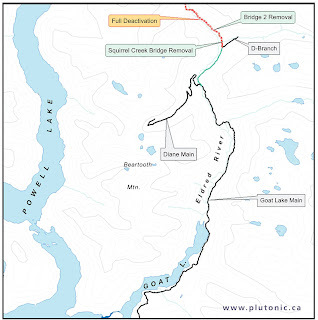 We went to where the Squirrel Creek Bridge used to be before it was removed by helicopter by Plutonic Power to transport to their run-of-river project in Toba Inlet. Now access to this portion of our back country is cut off. We followed Goat Main all the way from the junction with Dixon Road south of Powell River. 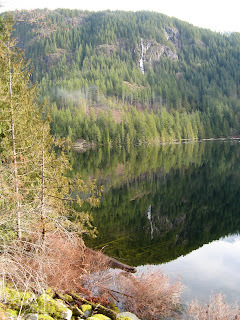 It's a major logging road and is easy to drive, except for the last few kilometres that are water barred to help prevent erosion by streams crossing the roadbed. Along the way there are beautiful sights. Lakes with brilliant reflections. Forests in many shades of green. Snow capped peaks sparkling in the sunlight. Sheer granite cliffs glistening after yesterday's rain. And lots and lots of roaring creeks and streams. We are so lucky here in Powell River to have so much beauty within a day's reach. 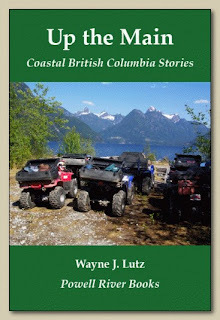 It is sad that several more of our main routes into the back country might be lost. The following are a few shots from today's trip. If you're ever in Powell River, you must eat at the Shinglemill Pub and Bistro. The restaurant is named for the Powell Lake Shingle Mill that once stood on this site. The shingle mill was first built by Brooks Bidlake in 1913 and sold to "Doc" Jameson from Vancouver in the 1920's. 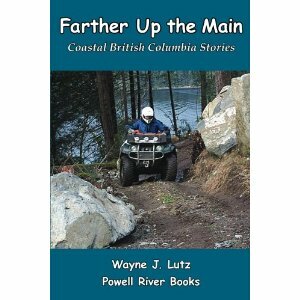 It was a big part of Powell River's logging history until it burned down in 1951. Wayne and I love to eat in the pub that overlooks the boat launch and marina. On warm sunny days you can sit on the deck to watch the boats going up and down the lake. This week I took my mom there for lunch. 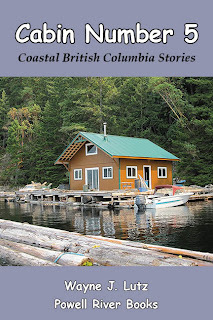 Rather than the eager cabin owners and recreational boaters you see in summer, this time we saw only hardy loggers returning from a long, cold, wet day in the woods. Inside it was warm and cozy. There are lots of window seats with great views up Powell Lake. Mom got a bowl of homemade creamy chicken vegetable soup. I opted for the lunch special of spicy calamari with a Greek salad. Each day has lunch and specials. My favourite is Wednesday wing night. The Thai wings are to die for, especially with a Sleeman's Honey Brown on the side. Do you have a swimming pool? I bet it needs periodic cleaning to keep it sparkling. Well, our "swimming pool" at the cabin is just the same. Only our "pool man" cleans it with a pike pole, not a broom. When the lake level rises, wood and logs are released from the shorelines to float aimlessly across the surface. Wind and current push the debris slowly up and down the lake. Some works its way through our protective log boom and takes up residence in our "yard." What does an author buy as Christmas presents? Books of course. In my stocking I found Remnant Population by Elizabeth Moon. She is one of Wayne's favourite science fiction writers. He purchased it earlier in the year for his Kindle, but couldn't share it with me because I don't have one yet. Elizabeth Moon is from Texas. Her educational background is in history and biology (just like me) and she served as a Marine (definitely not like me). Remnant Population isn't your normal (if there is such a thing) science fiction novel. 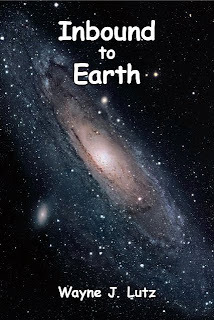 It is set in Sims Bancorp Colony 3245.12 on a distant earth-like planet. Over the last forty years, the colony has terraformed their surroundings, but it hasn't been easy. Now, representatives from company headquarters have arrived to tell them they all must leave. With stoic resignation, the colonists prepare their belongings and ready themselves for a long interstellar trip in cryogenic suspension. Everyone except for grandmotherly Ofelia. She has always followed the demands of her parents, husband, employer and most recently her son, but not this time. She decides to stay behind and live as she wishes, alone but not lonely. Trained as a self-sufficient colonist, she is able to use and maintain the buildings, materials and equipment needed to sustain herself. She's an avid gardener and lives simply until new colonists arrive far to the north. As she listens to their landing transmissions, they are horribly massacred. Ofelia knows this will be the end of her solitary life. Intelligent and deadly creatures share her planet, and her own kind won't let the tragedy go unavenged. Even though the book is set far in the future on a distant planet, life in the colony was much like living in a small rural community. 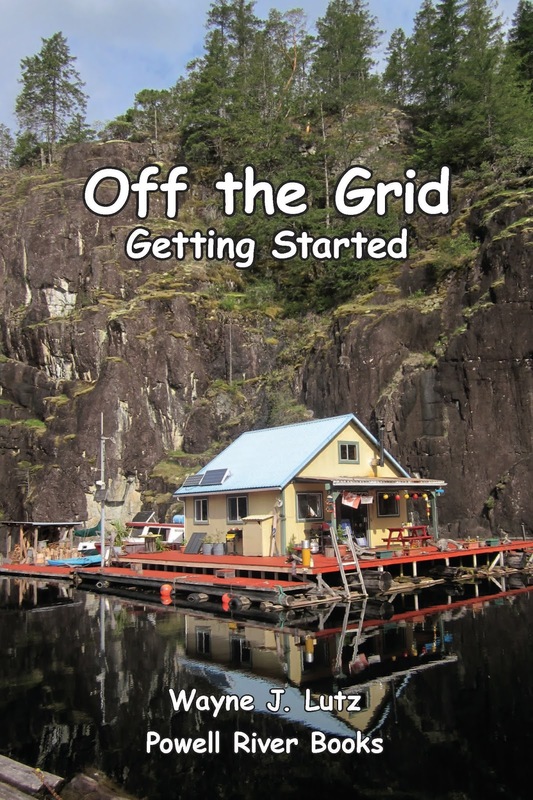 I could see lots of similarities to my lifestyle and attitudes living off the grid. Ofelia decided late in life that she would live according to her own plan. She no longer cared what others thought and finally was comfortable speaking her own mind. She became quite a role model for me in more ways than one. Alien and artificial intelligence are separated by a fine line. Evolving intelligence is inbound to earth, autonomous from its home planet. And only one person will be able to bridge the gap. 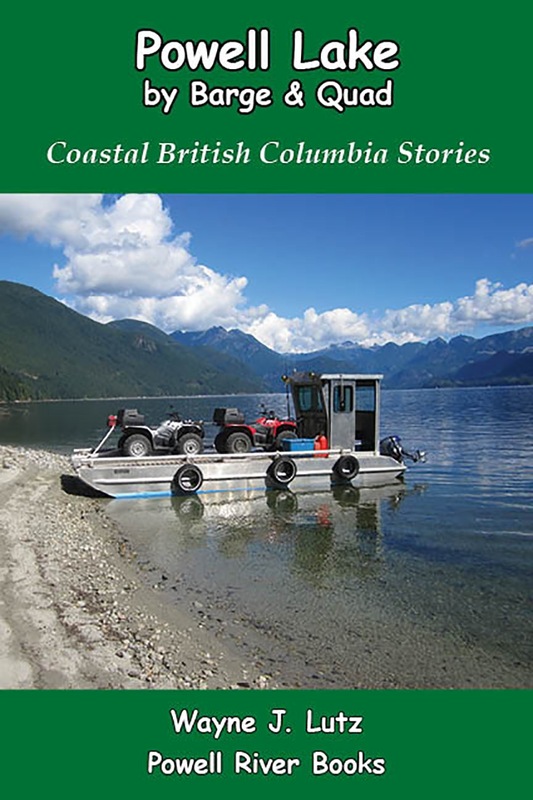 The author of six books in the series Coastal BC Stories makes his second venture into science fiction, where amateur astronomer Tannon Bessimer not only discovers a celestial object inbound to earth, but becomes the key to unlock the mystery. Click here for a look inside.